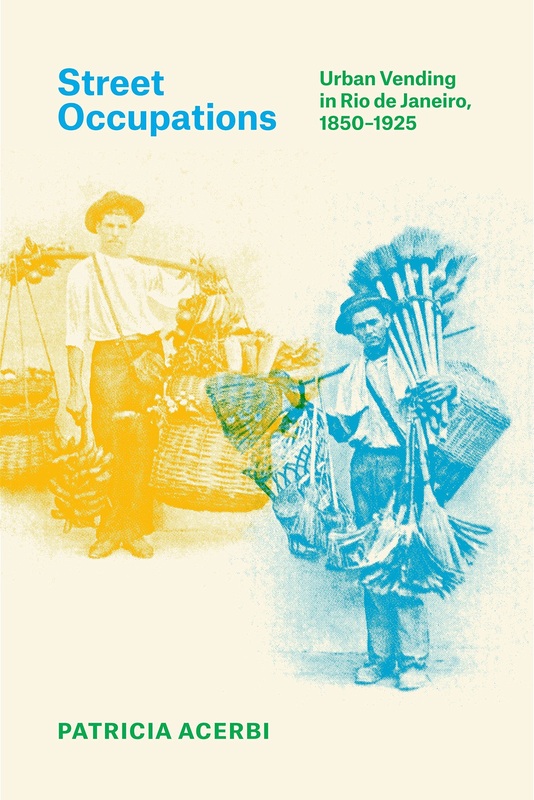 Patricia Acerbi, Street Occupations: Urban Vending in Rio de Janeiro, 1850–1925. University of Texas Press, 2017. “Street vending has supplied the inhabitants of Rio de Janeiro with basic goods for several centuries. Once the province of African slaves and free blacks, street commerce became a site of expanded (mostly European) immigrant participation and shifting state regulations during the transition from enslaved to free labor and into the early post-abolition period. Street Occupations investigates how street vendors and state authorities negotiated this transition, during which vendors sought greater freedom to engage in commerce and authorities imposed new regulations in the name of modernity and progress. “Examining ganhador (street worker) licenses, newspaper reports, and detention and court records, and considering the emergence of a protective association for vendors, Patricia Acerbi reveals that street sellers were not marginal urban dwellers in Rio but active participants in a debate over citizenship. In their struggles to sell freely throughout the Brazilian capital, vendors asserted their citizenship as urban participants with rights to the city and to the freedom of commerce. In tracing how vendors resisted efforts to police and repress their activities, Acerbi demonstrates the persistence of street commerce and vendors’ tireless activity in the city, which the law eventually accommodated through municipal street commerce regulation passed in 1924.